Auto Web Engine - Real Data. Real Client. Awesome Results. Real Data. Real Client. Awesome Results. 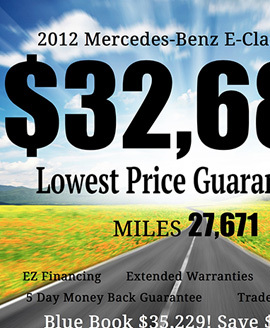 below is data from one of our dealers, robertsautosales.com. 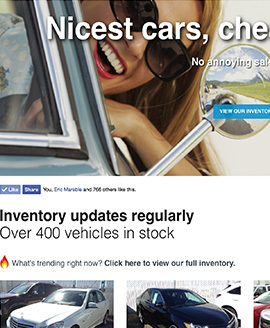 This is an independent dealer with lots inventory and lots of traffic. 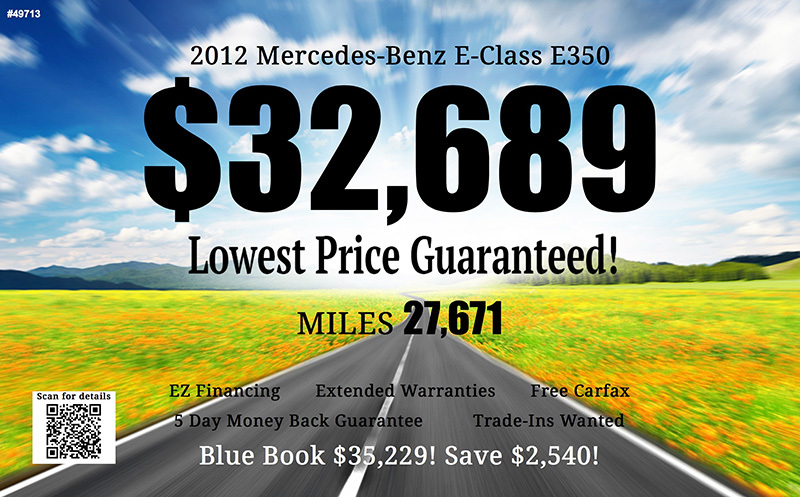 SEO, page setup, mobile compatible...all vital to any size dealership. We designed their site (using an available template) to be responsive - so it is one site working on all screen sizes - pretty on the eyes, fast loading and ensure that Google, Bing, etc can find and index all the pages. On all our sites we manage, we use Google Analytics as well as Google Webmaster Tools. SEO is important, but SEO should be done based on what Google and Bing tell us is important, not what we think is important. If Google tells us we need this tag or don't need that tag, we follow their rules with awesome results. Keywords are embedded where they should be, but we also include special markup such as schema.org. 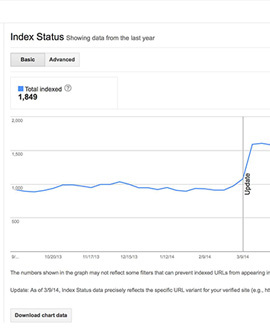 We use server side and client side compression to serve pages faster to shoppers. We use Amazon's EC2 cloud hosting to also serve images as fast as we can. They can print window labels in order, with different designs, based on set criteria. We embed all their inventory into their Facebook page as well as show all like on their website. 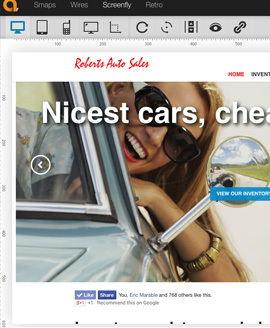 Simply drag your browser screen to smaller or larger and watch the site transform to fit. For them, it's not just about sales, it's about the smile once they purchase. 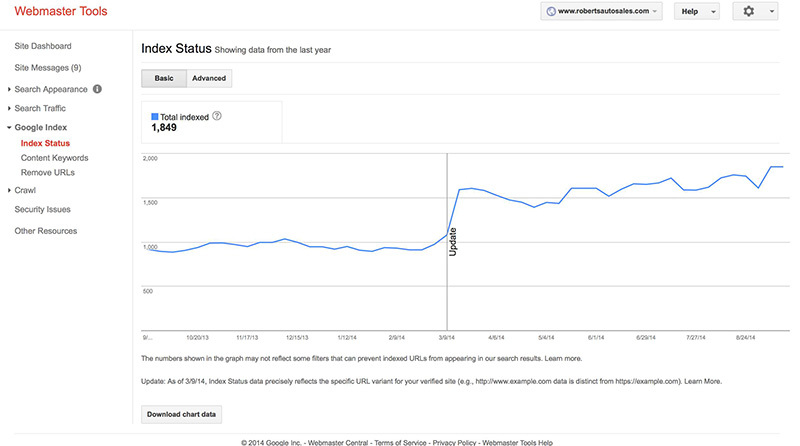 Screenshots of stats are from Google Webmaster Tools. These thumbs include stats (some might show the jump after our SEO update), window label design, website design and more. This should give you an idea of what we've done. Website, Facebook, all run off our API. Their website actually sits on their own server. As mentioned throughout this site, we're completely open to what you want to do. On the Quirk Tools screenfly link, we don't test on every single phone size, such as Blackberry, because our focus is on all the currently, popular phone and tablet types running Android and iOS, these make up almost the entire market. Adding QR codes allows us to provide so much more vehicle info and messages without cluttering the label. *No set up fees. Month to month. © AutoWebEngine. All rights reserved.